2016 Oct 6th,Hurricane matthew passes to the S.W with 130mph winds while moving N.W. 1928 sept 16th, many buildings destroyed by WNW moving cat 4 with 155mph winds.Heavy damage on island but no loss of life. 1929 sept 25th 115mph winds from the NE. 75 to 100 knot winds upon passage. 1932 Sept 5th 155mph Hurricane hits from the east. 1933 sept 3rd a major hurricane hits with a pressure of 27.98 140mph heavy damage,eye passes over Harbour island at 6AM. No deaths reported but there was major damage to property. 1956 Aug 14th, 110mph the first of 2 betsy's to affect this area just east. 1965 Hurricane Betsy moving SW hits northern portion of Island with 120mph winds causing heavy damage on Sept 7th.Radar track | Newspaper article. 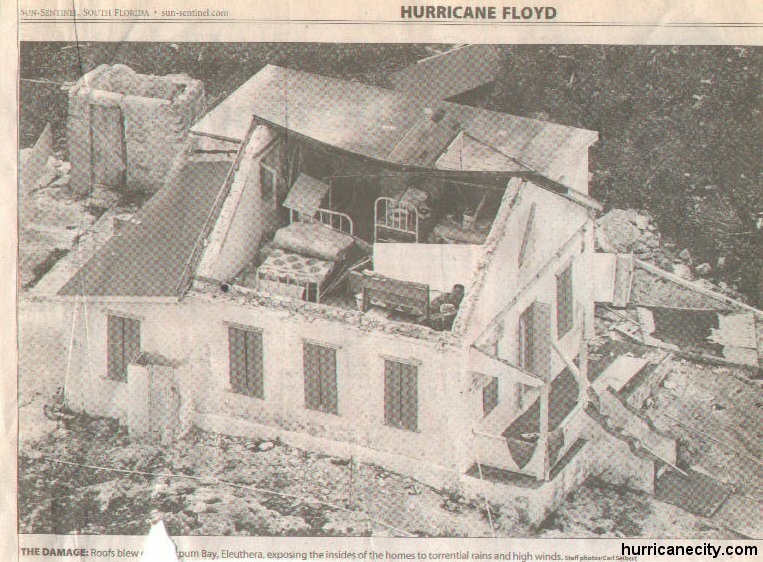 1992 hurricane Andrew Aug 23rd hits the northern tip with 170 mph winds reports of a 23 ft storm surge kills 4 people in the town of spanish wells,bluff & bogue were devestated from andrew.All homes & buildings suffered considerable damage especially in cat cay where complete settlements were devestated.Letter of possible gust to 210mph .